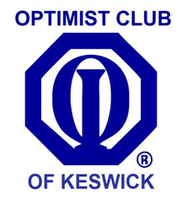 Optimist Club Of Keswick bringing out the best in kids! Don't forget to visit us on Facebook, so you don't miss out on contests, events and stay up to date with everything. We are dedicated to "Bringing Out the Best in Kids" and do our part through community service projects. This Club is run by members in the community, Optimists have the unique flexibility to serve the youth of their area in any way they see fit. Optimist Clubs see a need in their community and do there best to react to it. As Optimists we strive to live up to our name and maintain an upbeat attitude, which we try to pass along to the children and community we serve. The words of The Optimist Creed are well known to Optimist volunteers and beyond. The creed gives volunteers a focus for personal improvement as they work to better the world around them. Promise Yourself ... To be so strong that nothing can disturb your peace of mind. To talk health, happiness and prosperity to every person you meet. To make all your friends feel that there is something in them. To look at the sunny side of everything and make your optimism come true. To think only of the best, to work only for the best, and to expect only the best. To be just as enthusiastic about the success of others as you are about your own. To forget the mistakes of the past and press on to the greater achievements of the future. To wear a cheerful countenance at all times and give every living creature you meet a smile. To give so much time to the improvement of yourself that you have no time to criticize others. To be too large for worry, too noble for anger, too strong for fear, and too happy to permit the presence of trouble.